Today we’re up in beautiful North Yorkshire in what is known as Yorkshire’s food capital – the lovely country town of Malton. 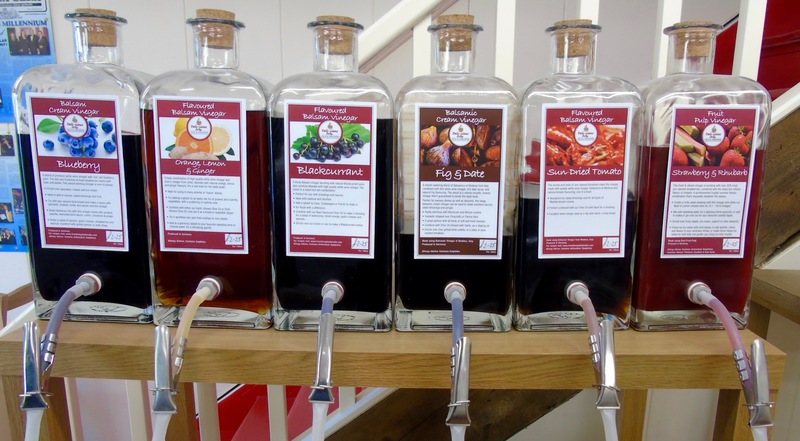 It’s famous for its food festival, monthly food market, Malton Cookery School, traditional food shops and Made in Malton artisan producers. It’s also James Martin’s home town. So you can tell there’s a lot of foodie stuff going on here – simply the perfect place for me to visit. You can read about my fantastic Cooking with Yorkshire Lamb workshop by clicking here. Malton has a population of around 13,000 and is kind of halfway between York and the seaside resort of Scarborough. A pleasant train ride from London and we were ready for some Yorkshire foodie discovery. As we say in South Africa local is lekker (good). And it’s all certainly all local ingredients at the The Talbot Yard Food Court where the shops produce everything they sell on site. 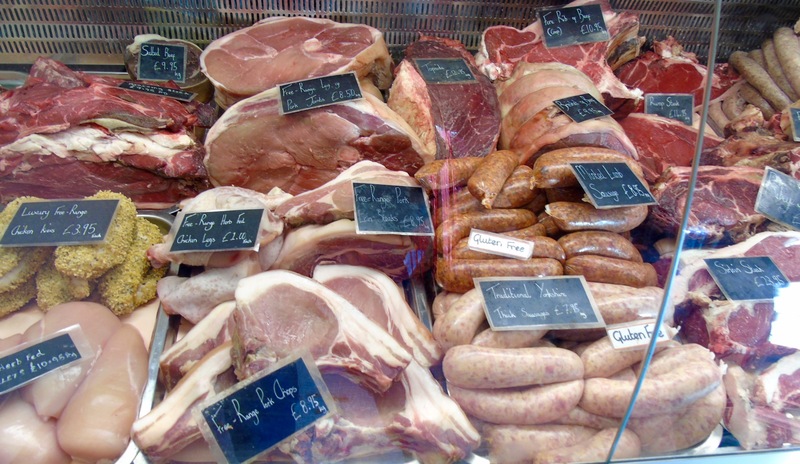 The fabulous butchery Food2Remember is aptly named – I certainly won’t forget it in a hurry. Especially as I was offered some warm boerewors to try as I stepped through the door – well impressed with his recipe for my favourite South African sausage. In Yorkshire – who’d have thought?! As well as great local meat, there was also a cabinet of delectable pastry snacks. 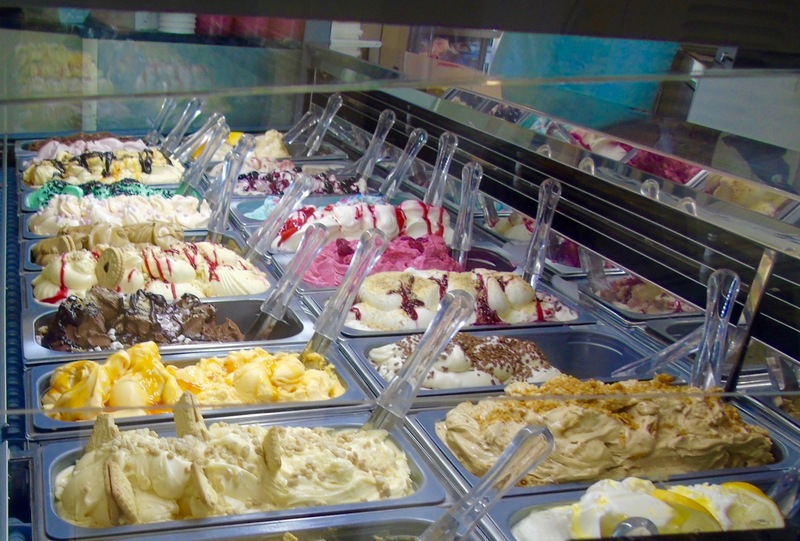 Groovy Moo is a cafe and gelataria – heavenly for ice cream lovers with all your favourite flavours and more. I loved the jammy dodger ice cream (how I love those little jammy biscuits). Passione Della Pasta makes pasta daily and also had a fabulous array of local fruit vinegars on tap. I bought a bottle of the lovely raspberry and rhubarb – what a simple way to transform any salad. There’s no shortage of bakeries in Malton, the aroma of baking floods the streets and there are plenty of tempting window displays. It’s a mouth-watering town to walk around. Costello‘s in the market square is a family-run business with the motto: “We make our own and we do it all by hand”. The family history dates back generations with Fred Costello opening up his first shop after the war in 1945. Costello’s Malton is a more recent addition, having opened in 2014. 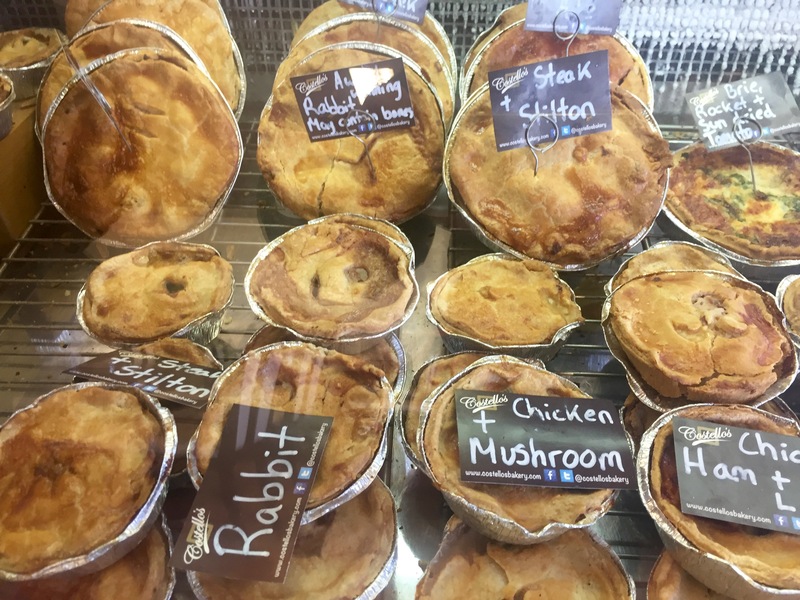 The range of pies available in is mind-blowing! And there are plenty of sweet treats to choose from and wonderful coffee, too. 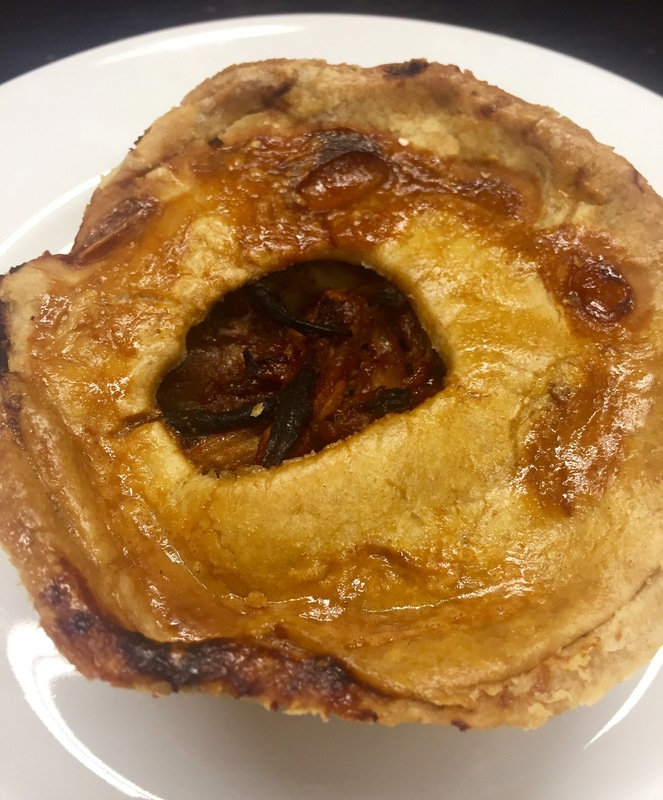 After much deliberation I chose this amazing barbecued pulled pork pie – love that there are contemporary options as well as the traditional offers. 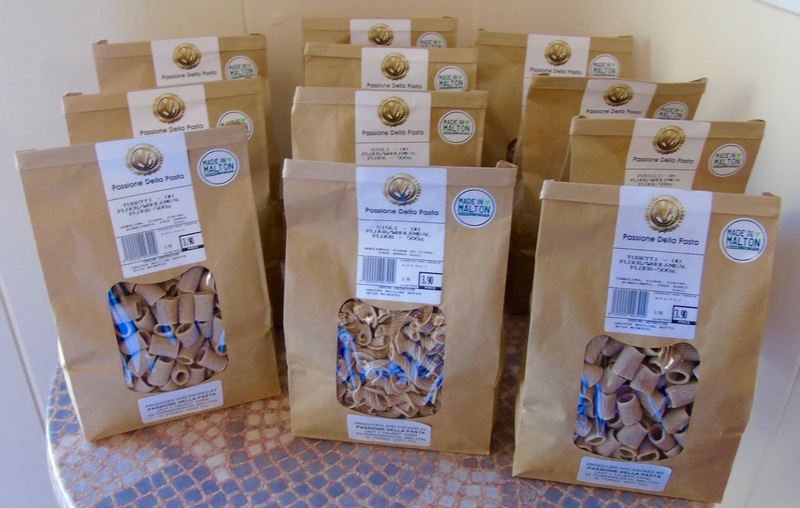 These are my favourite shopping discoveries in this wonderful foodie town. You can read more about it and where to shop at maltonyorkshire.co.uk. Even in these days of pubs closing at way too rapid a rate, Malton has a drinking few options. For dinner we visited The New Malton in the market square. It’s laid out over two rooms with a little bar and a warm welcome. The traditional menu offers plenty of local specialities. Like the pork and herb sausage toad-in-the-hole with onion gravy. 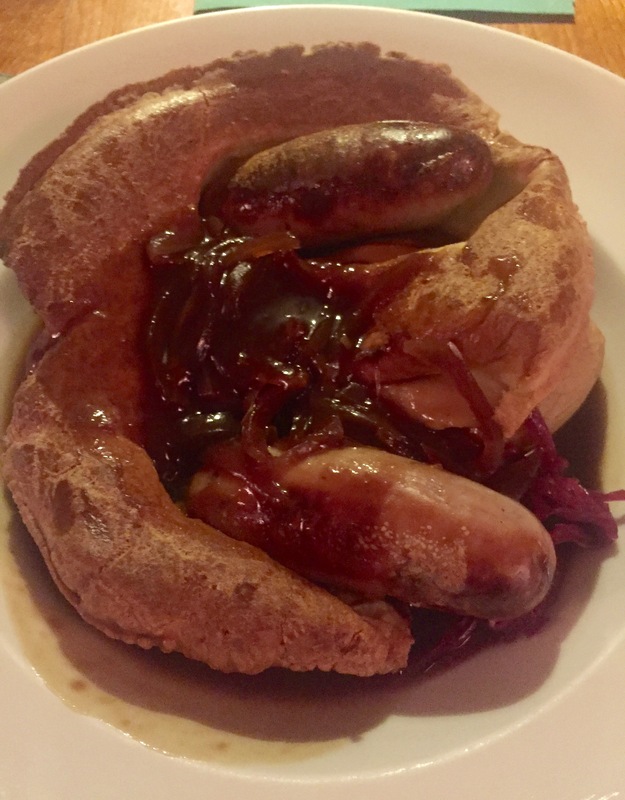 Well, you have to sample the Yorkshire pudding when in Yorkshire, don’t you? 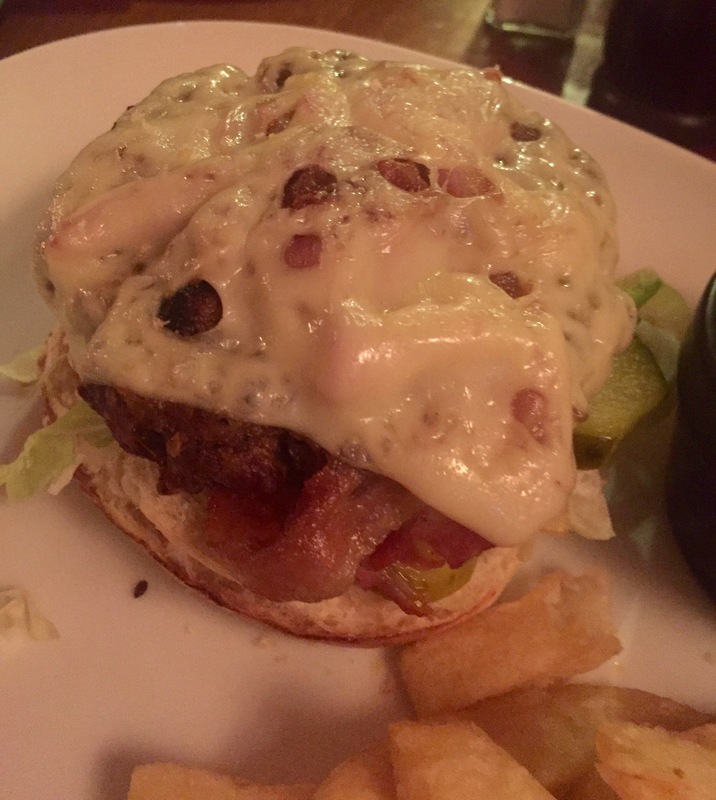 I love a good burger and couldn’t resist this steak burger with pancetta, Swiss cheese, dill pickle, coleslaw and home made chips. Made with top quality steak it had all the ingredients I love for a wonderful combination of flavours and textures. What a wonderful foodie break in such a quintessentially English setting. And the reason I went there was because my recipe for tasty lamb koftas won first prize in the #lovelambchallenge. Click here for my two tasty lamb mince recipes. We stayed at The Talbot Hotel in Malton. Read all about it in the next in my series of Where to Stay, coming soon.